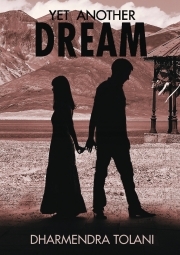 Description of "Yet Another Dream"
He is from Sindh, sort of. She is from Tibet, almost. She disappears - leaving behind a mess of contraceptives and lingerie. who would sell anything to succeed. Be it condoms or voting machines. Along the way he meets Lhakpa. Is she a dream too? Or a nightmare? Find out in this labyrinth of dreams. able to dupe MNCs and startups alike in hiring him as a programmer. Reviews of "Yet Another Dream"